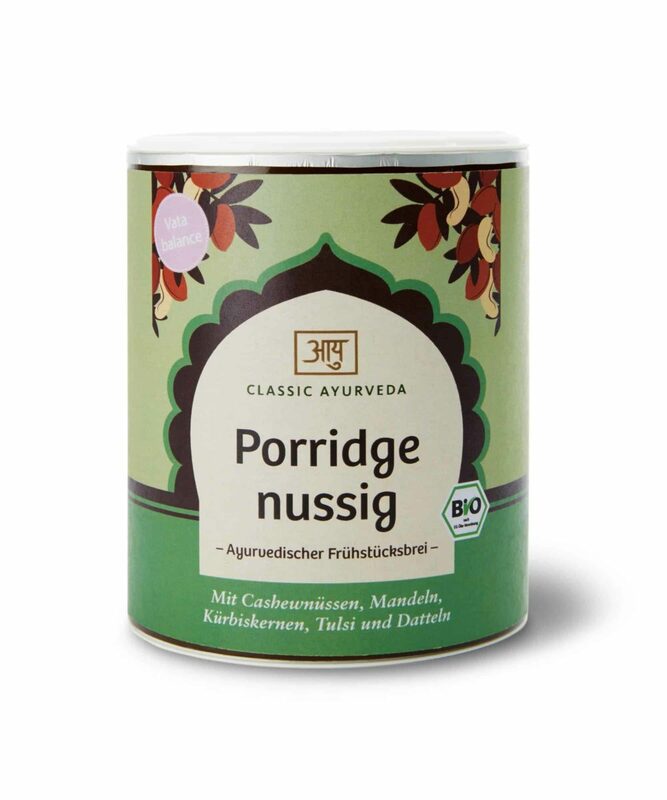 Ayurveda recommends a light and warm meal in the morning for vitality and a good start to the day. Sweet fruits, nutty seeds and ayurvedic spices are finely balanced for the needs of the creative, flexible vata type and provide mental balance and stability hroughout the day. One serving (80 g) – briefly bring to the boil in about 300 ml water, cover and simmer over low heat for approx. five minutes, stirring occasionally. Add agave syrup, tala sharkara or maple syrup according to taste.